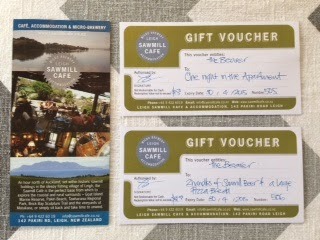 have very generously donated two gift vouchers. and the other is for 2 handles of Sawmill Beer and a large Pizza Bread. and the Sawmill Cafe has them in spades! !